Recently Kroger made changes to the popular Community Rewards program, which will require participants to take action to continue to support their charity of choice. Charity account numbers have changed, so participants need to go into their Community Rewards account and reconnect their account. Verify that you are still supporting Special Olympics or reconnect your account. 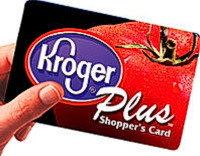 The Kroger Community Rewards program donates a percentage of your total bill to the charity of your choice every time you shop at no additional cost to you. Each year, the program contributes more than $1,000 a year to Special Olympics Kentucky and more to the local programs that take part, so please make sure you are still shopping to support our athletes. For more information about the Kroger Community Rewards program, or how to make sure you are signed up to shop for Special Olympics Kentucky, contact Teresa Capps-McGill at 502-695-8222 or tcapps-mcgill@soky.org.